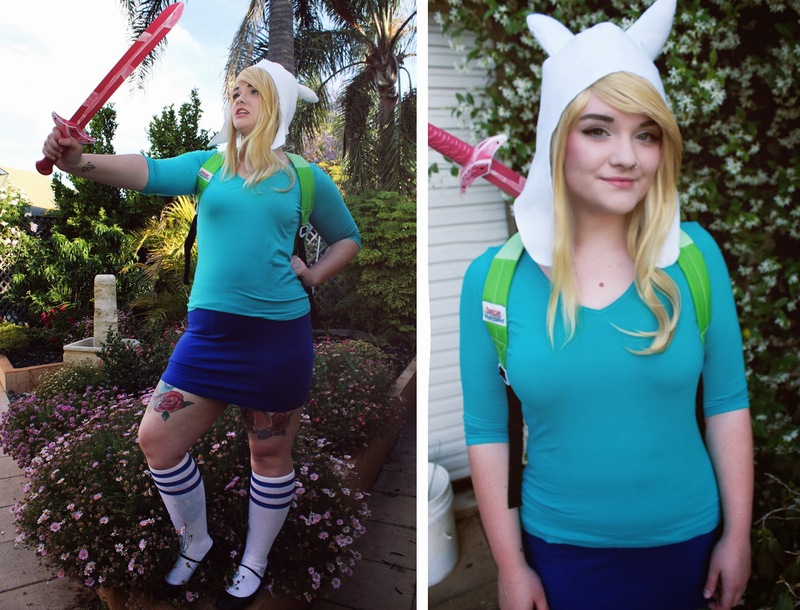 So this is my last - and main - costume for Halloween this year, Fionna the Human from Adventure Time! I seriously love this costume, wearing it made me feel so awesome - Fionna's such a tough girl, and when I was in the outfit I felt like a real hero! 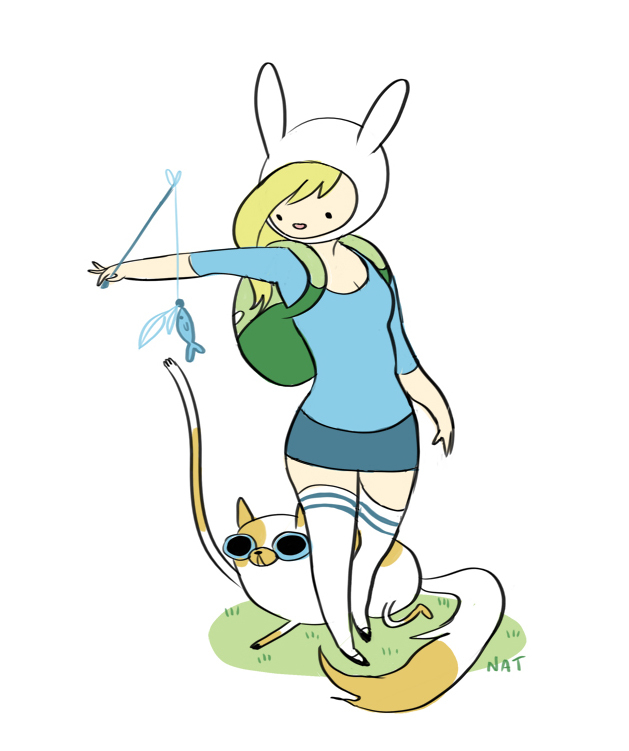 I love Fionna because she has a body shape quite similar to my own, wide hips, thick thighs, and a little bit of a tum. I put a fair amount of effort into this costume, sewing the hat and painting the crystal sword, and it was a huge reward to put it all on and see it all come together. I wore it to a Halloween party at a club here in Adelaide, Sam dressed as Finn and I think people are a lot more familiar with the main AT characters because only about three people knew who I was (one guy even sang Oh, Fionna at me)! It made me sad to have worked so hard on making an accurate costume only to have no one really get it, but that was outweighed by how awesome I felt while wearing it. Oh well, at least now I have an outfit ready to go for Supanova in two weeks! thanks man! I had a sneaky peek at your costume and compared it on google (I know pretty much nothing about supernatura, haha) and it looks super legit, good work! thank you! I won't lie, I felt like a totally different person while i was wearing the costume, haha. thank you :D! I'm really excited to make a proper, bigger crystal sword when i have the time.